How to tie Tim’s Hawthorn www.flyfishingpodcast.com It’s been wet, cold, gray and very cold but now there is a little sun and the Hawthorn blossom is out the Hawthorn flies are on the wing. This is the time of year the trout start to learn how to rise and this is just one of my killing dry Hawthorns. This one it made to float longer and higher than any other. A very killing fly for you box but not that quick to tie as some of my flies it dos however save you time drying and brings fish up from no were. Get in you box now ! 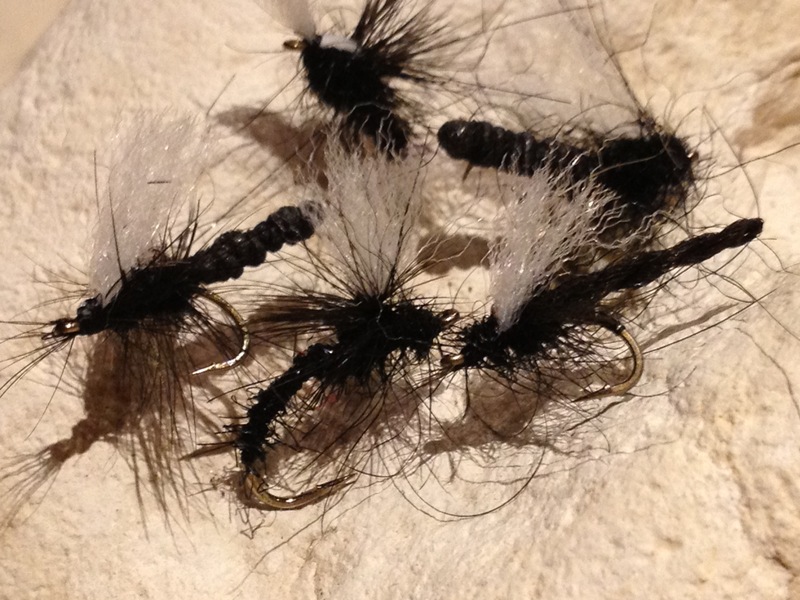 Another goto fly Tie it up in different sizes 14-18. See more at Instagam Flyfishingpodcast, Vimeo at https://vimeo.com/flyfishingpodcast or Facebook Fly.FIshing.99 follow on twitter @ flyfishingpcast and subscribe here or at iTunes to get podcasts and films. This entry was posted in Blog Posts, Podcast and tagged Fly Tying. Bookmark the permalink.